6. polarity test function measure DC voltage (0.5-60 V). The Noyafa team is comprised of a group of young people with vitality and positivity. They also have a positive attitude and strict style toward working along with the spirit of unity and excellent communicational skills. They work under a good atmosphere with mutual encouragement and common progress. The company currently has an over 3000 square meters factory including more than 10 production lines and it is equipped with the most advanced equipment. 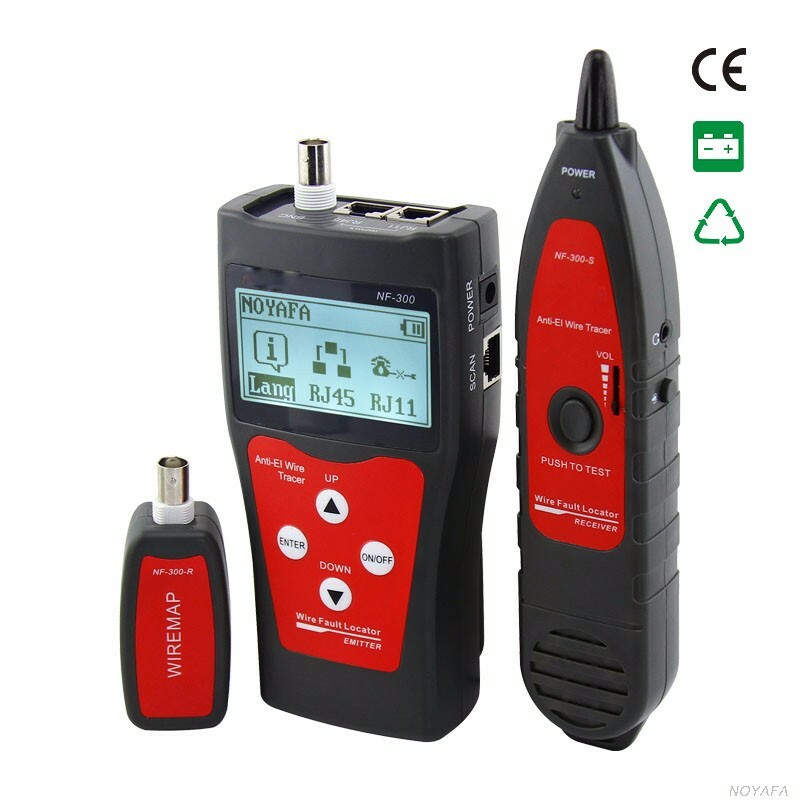 The excellent performance and quality of equipment has been highly favored by customers. 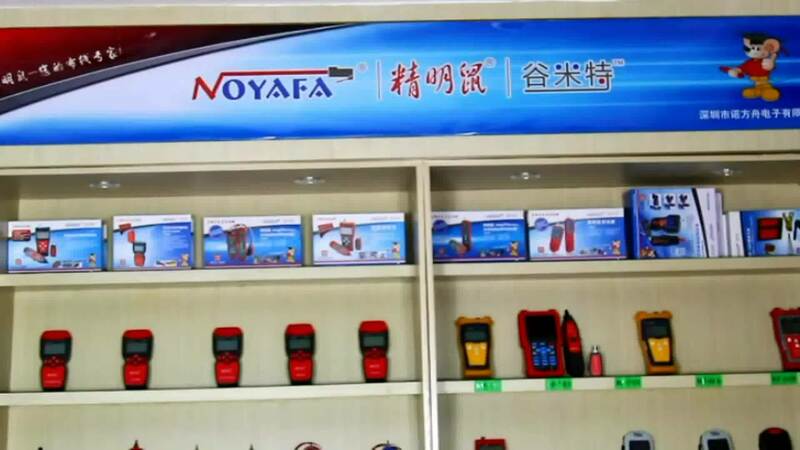 Beyond that, Noyafa also has been approved by the ISO9001 quality certification along with CE, FCC, ROHS, REACH and other certifications. 2. Measure cable length for RJ45, BNC Cable. 3. Check open, short, cross, crosstalk for RJ45, BNC cable. 4. 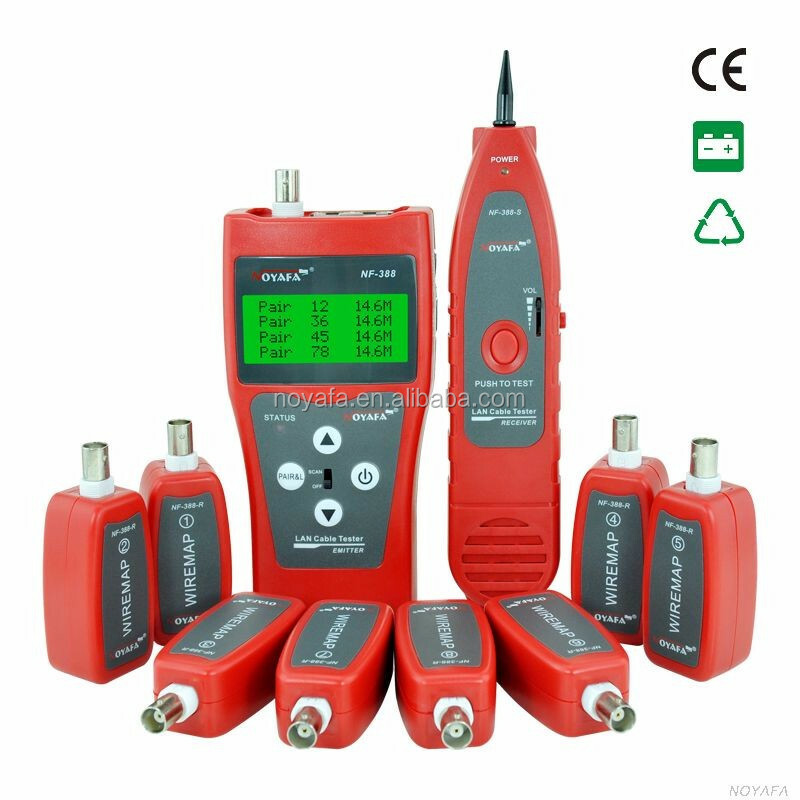 Locate short and breakage point accurately. 5. Memory and storage function. 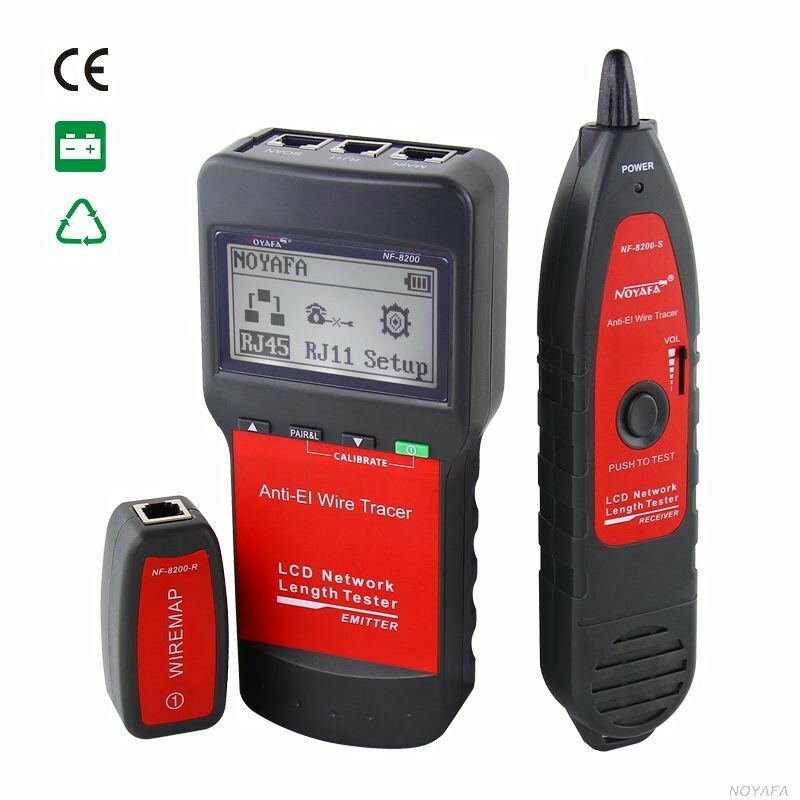 1.Trace and locate RJ45 (STP / 4-core) , RJ11 cables. 2. 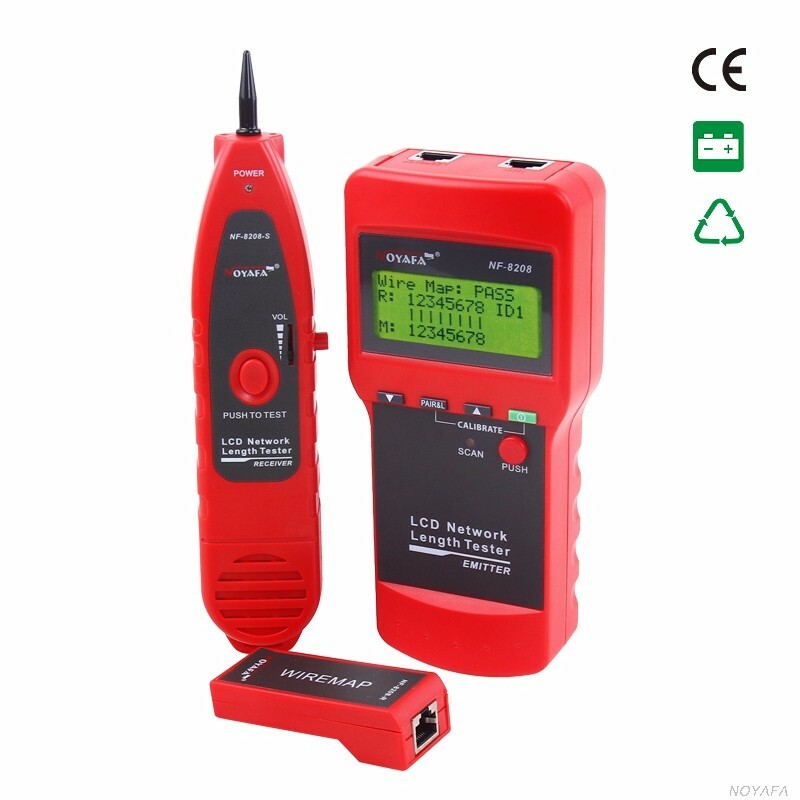 Measure cable length for RJ45,RJ11 Cable. 3. Check open, short, cross, crosstalk for RJ11,RJ45 cable.